Place all ingredients, except chicken, in a medium bowl, whisk to combine. Place chicken in the marinade making sure all the pieces are well coated. Cover and refrigerate for at least 4 hours or overnight. Place all ingredients, except lettuce, in a blender. Blend to emulsify. Season with salt, pepper, Worcestershire and/or lemon if more is needed, refrigerate. Preheat a grill pan or outdoor grill to medium-high heat. Remove chicken from the lemon marinade and pat dry. Sprinkle with salt and pepper and grill the chicken until golden brown and cooked through, about 12 minutes per side. Transfer chicken to a plate, squeeze the juice of 1/2 a lemon over the all the pieces, let rest. In the meantime mix romaine lettuce with Caesar dressing, divide between 4 plates. 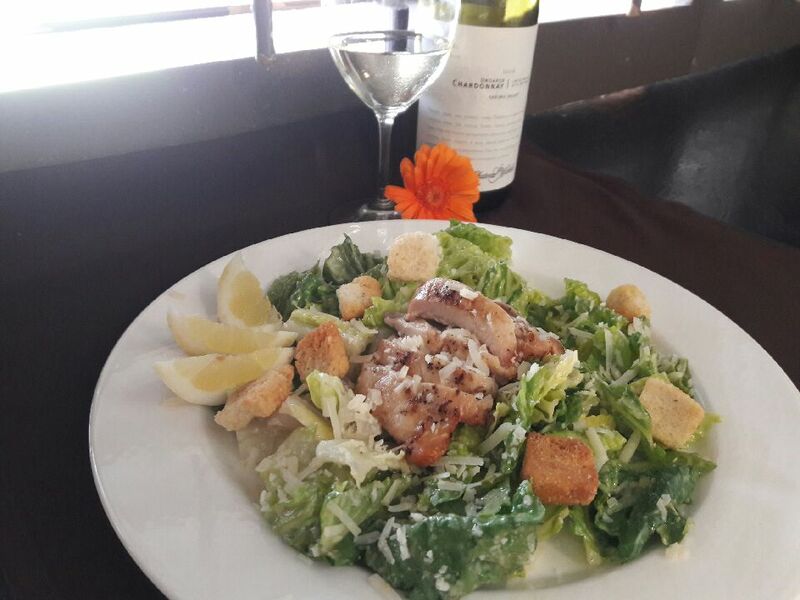 Slice chicken and fan out over caesar salad. Top with more Parmesan and your favorite croutons, optional.